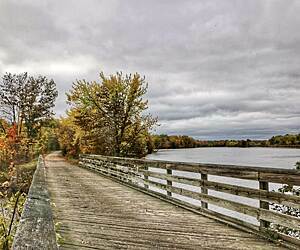 Looking for the best Birding trails around Chippewa Falls? Find the top rated birding trails in Chippewa Falls, whether you're looking for an easy short birding trail or a long birding trail, you'll find what you're looking for. Click on a birding trail below to find trail descriptions, trail maps, photos, and reviews. Rode this great trail from Cornell to Chippewa Falls and back. Great scenery especially along the river between Cornell and Jim Falls. I was under the assumption that this trail linked up to the Eau Claire section but trail markings end on the outskirts of Chippewa Falls. There are facilities in Jim Falls via the Hometown gas station. Went to Leinenkugel Brewery Visitor's Center hoping for lunch, but they only serve beer and pretzels. We look forward to riding again, especially in autumn! Very nice trail for a hot summer day. Very shady and cool. 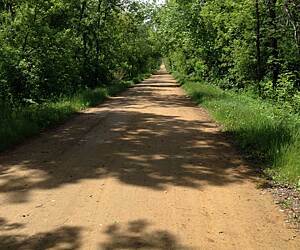 The trail is very well maintained with a smooth gravel surface. Pretty much a straight run through deep woods with not a lot of scenery. While not spectacular, very quiet and pleasant. The ride south from Woodville is slightly more downhill than riding north from the southern trail end. Parking on the south end is non existent except for beside a country road. Plenty of parking in Woodville near the trail head, although not right at trail head. This is a great off road crushed gravel trail, peaceful and quiet. For directions to the trail we followed what is really the end of the trail and there was no parking except on the side of the road. We road to Woodville which is the main trailhead but still not too much room to park. This was a good training trail as there is rolling hills to break the monotony of the flats. What keeps the review from getting 5 stars was lack of signage and parking. I’ll go back again. Estimatehub's 2017 review is very accurate and makes many good detailed points in ways this beautiful trail should be improved. The Old Abe State Trail could use more signage reference points as this is a long trail and people traveling do not reference points as to where stuff is. There are NO BATHROOMS, WATER FOUNTAINS or TIRE PUMPS at the trailheads in Chippewa Falls, Jim Falls or Cornell as they consisted of a posted map, bench with a little sun protection and a parking lot....nothing special or unique at all. It's amazing to think that the state spent so much money on a nicely paved path and so little to welcome or comfort travelers. 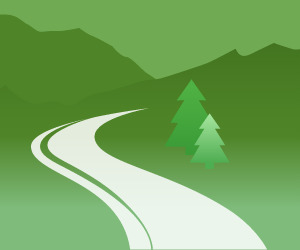 Much of the trail has 3 and 4G cellular coverage. You must ride through Brunet Island State Park at the Cornell end of the trail as it is breath taking and provides quality miles. 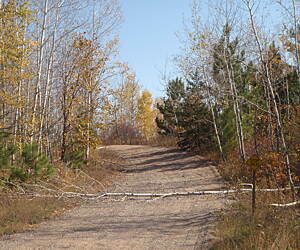 There is a short connecting route to Lake Wissota State Park for additional mileage if one chooses. The Old Abe is a road biker's dream as it is very smooth, except for a few unexpected big bumps between miles 2 and 4. The trail was clear of any debris and had very few low hanging branches...hats off to the crew that maintain this trail. Thirty-three of the forty round trip miles I road on on July 25 were in the rain, many of which were poring, and the trail was safe and a great ride...no regrets. I echo all of the previous reviews. Absolutely breathtaking views on my fat bike of both the Red Cedar and Chippewa Rivers. Trail conditions were overall great however keep your eyes open for unexpected gopher holes. The path is fairly wide at all points. Some of the people on road bikes mentioned they had a bumpy ride. I started at Meridean on the CRST, biked up to Menomonie (nice trailhead welcoming center), back down the RCST, proceeded to Durand and then back to Meridean for a total of 51 miles. There were nice logical scenic spots to take a break along the way with clean restrooms, water and tire pumps. There were deer along several spots along the trail. While on my ride, a DNR worker with a polite disposition was busily performing maintenance on a culvert on the trail...good to see. BE SURE TO PACK BUG SPRAY if you plan on stopping for more than 10-15 seconds on the lower end of the trail. Definite 5* must ride, scenic and peaceful trail. 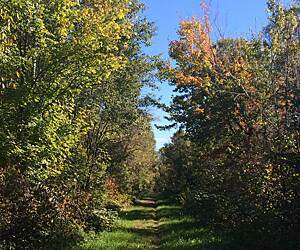 Fabulous trail—beautiful and peaceful. But my wife and I suffered our second worst bug attack of our 50 years—mosquitos and and deer flies. Bring spray and be ready to ride quickly with no breaks. We rode the western half of the trail on a humid and hot weekend but we were pleasantly surprised at the amount of shade and tree coverage. It cut the heat and also the headwinds from the west which made our ride very comfortable. This part of the trial is nicely paved, which makes it fast and flat. There are at least a half-dozen small bridges over farmland creeks and at one point, you come across a large bend in the Chippewa River which is beautiful. It intersects with the Red Cedar Trail, which is a nice detour to Menomonie, or you can continue east towards Eau Claire. After 7 or so miles, the trail turns to crushed gravel, which is pretty easy to ride over, but they've patched the potholes with asphalt, which makes it bumpy. 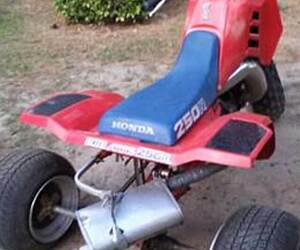 It's fairly maintained but could use a little more maintenance. We have hybrid bikes and made it just fine, and there were several riders with skinny road bikes and they seemed to be doing okay. It is a slight disappointment after the perfect grooming of the western part of the trail. The trailhead out of Durand has a lot of parking, rest rooms with running water and a drinking fountain, so you can fill your water bottles. Durand has a few places to eat, there's not much along the trail. We stopped in Meridean, a historic village with an intriguing history. There's a parking lot and porto-potti, but I didn't see any water fountains. Next time we'll start in Meridean and finish the trail to Eau Claire. It was a great trail for a summer's day - lush surroundings and tons of wildflowers. We rode this trail as part two of two-ride weekend. We parked at a small, unmarked parking area off of 50th Ave near the junction of the Chippewa and Red Cedar Trails. We actually rode the 7 mile section between the junction and Durand on the first leg of our ride weekend. This section is maintained by Pepin County and is VERY nice. On this day, we headed east towards Meridian. The trail surface is somewhat paved, and most of the potholes looked to have been filled. This trail was very manageable for our mountain & hybrid bikes. However we did see various riders on bikes with skinny street tires and they seemed to manage just fine as well. The trail was more overgrown in places than I expected, and could maybe use a spray to keep the grass and ivy vines along the edge of the trail in check. Moss covering the trail along the bluffs between Meridian and Caryville lend the trail a beautiful and secluded feeling. The views of the Chippewa were breathtaking when you come out of the trees and suddenly there is this graceful winding river. Once we arrived at Caryville, the trail opened up into flat farm ground. At one point we were caught off guard by sounds from a PA system from no where, before we realized there is a drag strip a short distance off the trail east of Caryville. 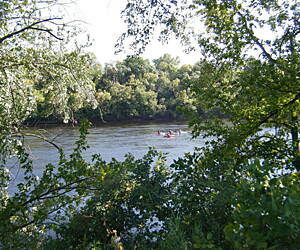 My husband and I rode to about the 7 mile marker on the west edge of Eau Claire, before turning around and riding back to our vehicle, a total of 38 miles round-trip. I will rate this trail a 4, but the trail scenery itself was worth the ride. My husband and I rode this trail on June 21st, as part one of two for a long weekend ride. This was also the first ride we had taken on our new Trek bikes - his is a mountain bike, mine is a hybrid. Overall, we loved the Red Cedar trail; the path edges were sprayed back, and the trail surface was generally very smooth and solid (especially considering they had around 4-5 inches of rain a few days prior). A large portion of this trail was shaded making for a comfortable trip. The amenities along this trail were also very nice (water, flushing toilets, air pumps), and there were several mowed picnic areas with tables and/or benches along the route. Keep your eyes open for the historical site of the Dunnville Quarry roughly 3/4 of the way down the trail, and make sure you have your bug spray handy when stopping here. The trail follows the Red Cedar River very closely for a majority of the length, with several small bridges. There are two large bridges, one crosses the Red Cedar, and the other crosses the Chippewa River at the south end where it meets the Chippewa River Trail. Our trip involved parking at Riverside Park in Menomonie and travelling towards Durand, and back. The only thing I would change about this trip was the route; instead of travelling from Menomonie to Durand and back, it would have been easier to start in Durand. There is a slight downhill grade, which means our entire ride back north was slightly uphill. It's not a terribly steep grade, just enough to know you are working at it. Make sure to have your $5 for the trail pass; the self serve permit station was simple to use. We recommend this trail. 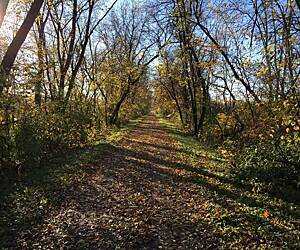 Let me start by saying, we have ridden most of the rail trails in Wisconsin. This is a 5 star trail for scenery and surface. An easy 42 mile round trip due to the perfect pavement and flat nature of the trail. Particularly scenic from Jim Falls to Cornell. I have to knock it down a star for two glaring omissions (especially for the stellar Wisconsin trail system). 1. As mentioned in other comments, there is no trail head at the south end. No parking, signage or anything. Very odd. We parked in a credit union parking lot at Park Ave, which is ok only when the credit union is closed. After starting north, i spotted a small lot just north of the Chippewa river on the east side that could be used. Further north just over the Lake Wissota bridge is a nice lot with a pay station. The trouble is you've already gone over the way cool bridge before you get there. So if you start north from this point you never see the bridge. 2. There are no public restrooms/outhouses on the entire trail. Not one. For a trail of this length, that is not a good thing. In Jim Falls there is a gas station right on the trail that caters to bikers, but you feel guilty if you just use their bathroom and don't buy anything. In Cornell there are several restaurants and ice cream shops that have bathrooms. So, beautiful trail, just have a strong bladder. We biked the Caryville to Durand part of this trail on September 1, 2017. The trees, rocks, river, animal and plant life is very lovely. The surface from Caryville 12 miles toward Durand is only arguably paved. If you have trail bikes, great. If you have thin-tired road bikes? They would likely sustain damage. Stick to Durand and no more than 7 miles in with a road bike.